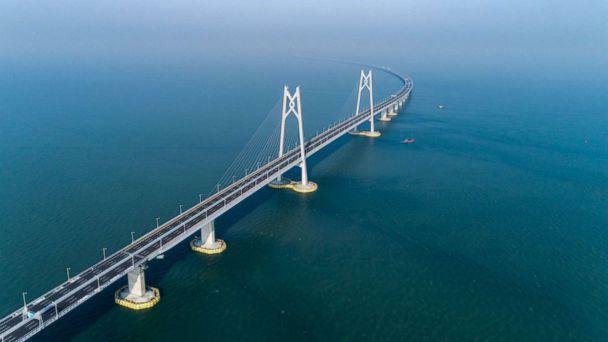 Chinese officials are set to unveil the world’s longest sea bridge this week after nine years of construction work, advancing the country's interest in connecting three major regions. 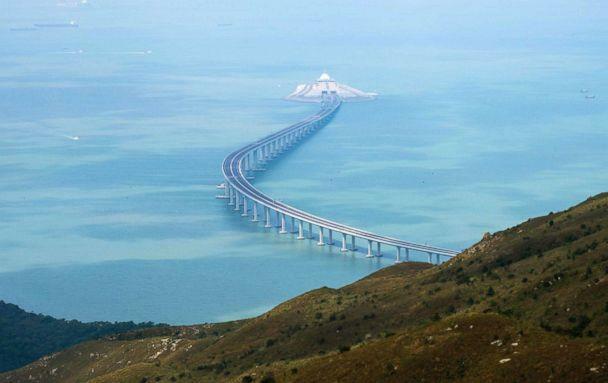 Around 26 miles, the Hong Kong-Zhuhai-Macau Bridge consists of a main bridge over Chinese mainland waters, with attached border checkpoints and roads connecting the Hong Kong Special Administrative Region, Zhuhai City in Guangdong, China, and the Macao Special Administrative Region. 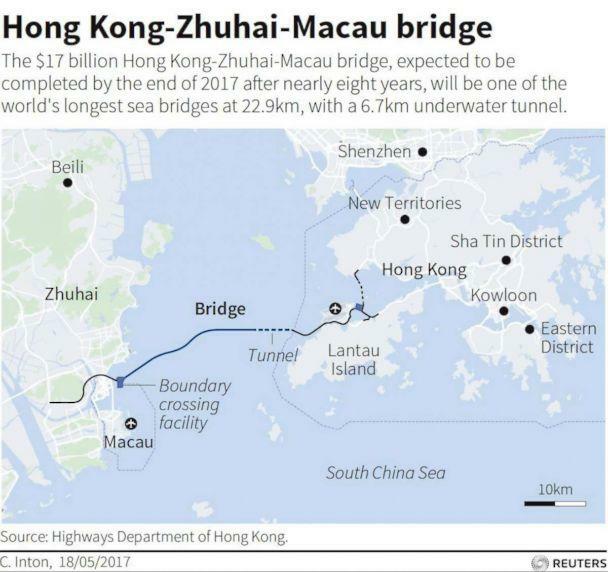 The bridge will include 22 miles of a three-lane highway from northern Lantau to the Western Shore of the Pearl River Estuary, and a 4.1 mile tunnel between two artificial islands along the way to prevent the disruption to sea traffic. The bridge is lined with towers topped by dolphins, Chinese Knots and ship sails to symbolize the three different regions, according to the South China Morning Post. The total cost of the project is $20 billion, according to The Guardian newspaper. 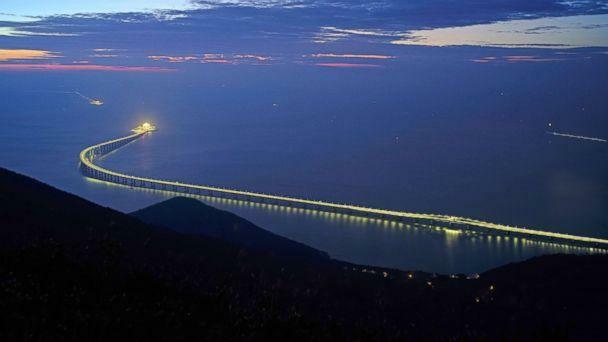 The Hong Kong-Zhuhai-Macau Bridge will bring the Chinese mainland economic hub of the West Bank of the Pearl River Delta to within a 3-hour drive of Hong Kong. 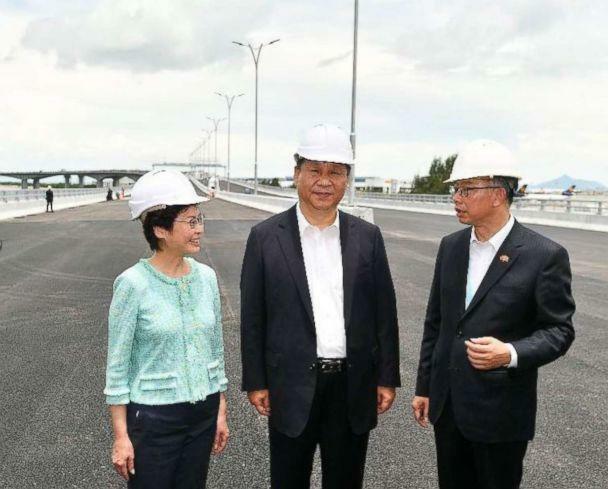 Chinese President Xi Jingping visited the bridge in July of last year, and is expected to attend the opening ceremony on Tuesday. 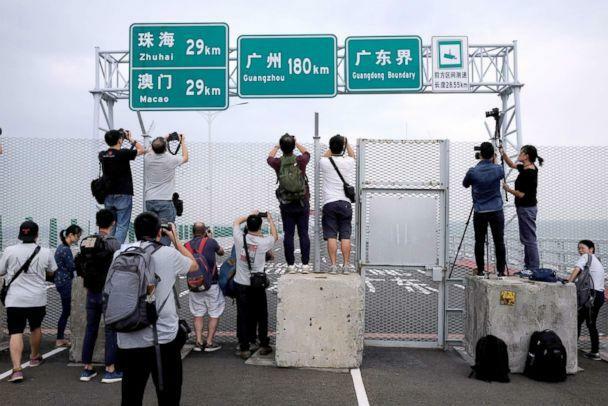 But the reasons behind the investment may not be purely economic, as the bridge will bring Hong Kong, which has a separate system of governance, closer into Beijing’s sphere of influence.